Hair styling equipments market has been booming with rising expenditures of hair grooming and styling across the globe. Big market players are continually introducing innovative and wide range of hair styling equipments to allow individual consumers and salon professionals to create new looks. Global hair service market has grown drastically over the past few years, significantly rising the sales of hair styling equipments market. In 2015, U.S hair care services industry valued worth USD 20 billion with more than 82,000 beauty salons. Hair styling products that do not harm consumer's hair are in high demand. Farouk Systems, a U.S based company manufactures more than 1,000 products including hair styling equipments for professional salons and exports to more than 100 countries. Farouk Systems are using nanomaterials in their hair iron; the company is also using nanomaterial in a wide-ranging line of hair brushes, curling irons and hair dryers. The nanoceramic metallic composite used in hair styling irons and outlet of hairdryers releases the beneficial ions and infrared wavelengths that protect hair from harmful effect of heat. Innovation of new products that are attracting the new consumer base is expected to hike up the sales of hair styling equipment market. Many companies are adopting different business strategies to sustain rising market competition from new players. In 2016, JD beauty group acquired the brand Teez with Eez, a hair styling tools manufacturing company. Later in January 2017, JD beauty Group also announced the partnership with kirschner Group Inc., to expand their business together and to establish strong presence in global market. Growing demand for portable and lightweight hair styling tools is the key factor driving the growth of hair styling equipment market. Consumers prefer light weight equipments while handling hair styling tools for ease of hair styling. Innovation plays a significant role in growth of market as it fulfills the consumer demand of better features with improved quality. Evolving fashion trends in hair styling, is one the major factor driving the growth of global hair styling equipments market. Rapidly changing hairstyle trends lavishly featured in movies and fashion runways are considerably impacting the sales of hair styling equipment market, as consumers are always trying these new trends by their own or request these new looks from their salon experts. Growing professional salon service industry opened vast avenues for new opportunities for the marketers of hair styling equipments. Good players of beauty and personal care market are entering to this segment, offering vicious competition to well-established marketers. For instance, L'Oreal Professional and Rowenta Salon teamed up and launched their revolutionary hair styling tool that uses pro-keratin technology with steam to straighten and smoothen the hair, providing extra protection to hair from heat damage. The global hair styling equipment market valued more than USD 12.7 billon in 2015 owing to rising sales in Asia-Pacific region with high income population. Global hair styling equipments market is expected to expand at a CAGR of 5.6% over the forecast period i.e. 2016-2024. Further the market is projected to reach USD 19.6 billion by the end of 2024. The professional users segment is one of the major segments contributing to the growth of hair styling equipment market. 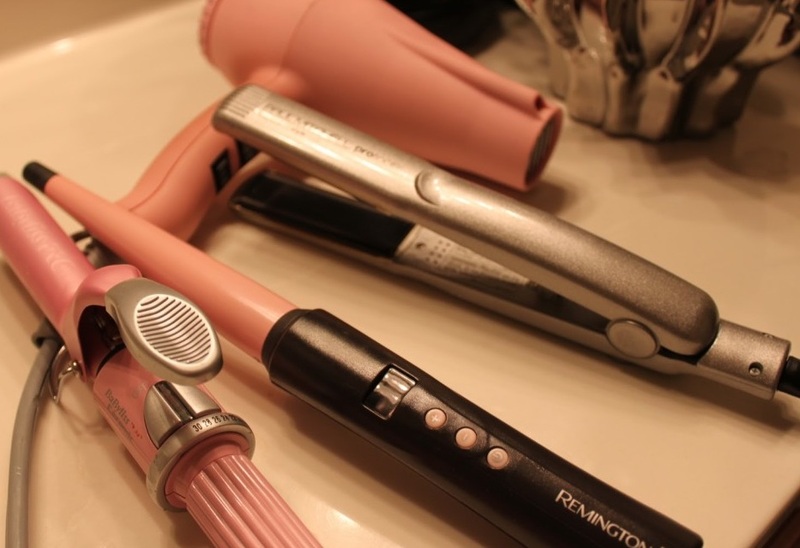 Professional users segment contribute more than 40% sales of hair styling equipments in global hair styling equipments market. Professional users of hair styling tools include salons, spas and hair care professionals. Rising number of salons significantly boost the sales of hair dryers, hot brushes, hair brushes and staightners. Geographically, Asia-Pacific is the dominating region for global hair styling equipments market. China, Japan, Korea and Australia are the dominating countries in Asia-Pacific region in terms of sales of hair styling equipment market. Asia-pacific is closely followed by Europe and North-America with more than 35% market share collectively. In past few years, Latin America has showcased significant growth in hair styling equipments market. Brazil is the dominating region in Latin America followed by Mexico. According to Unilever, more than 37% Brazilian women prefer to visit professional salon for hair styling. There are more than 342,000 salons throughout Brazil, with heavy concentration in south-east region.